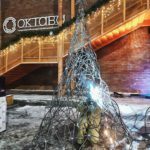 On December 2 and 15 in the creative industrial cluster “Octava” (Tula) took place the large-scale festive educational program of Weld Queen. 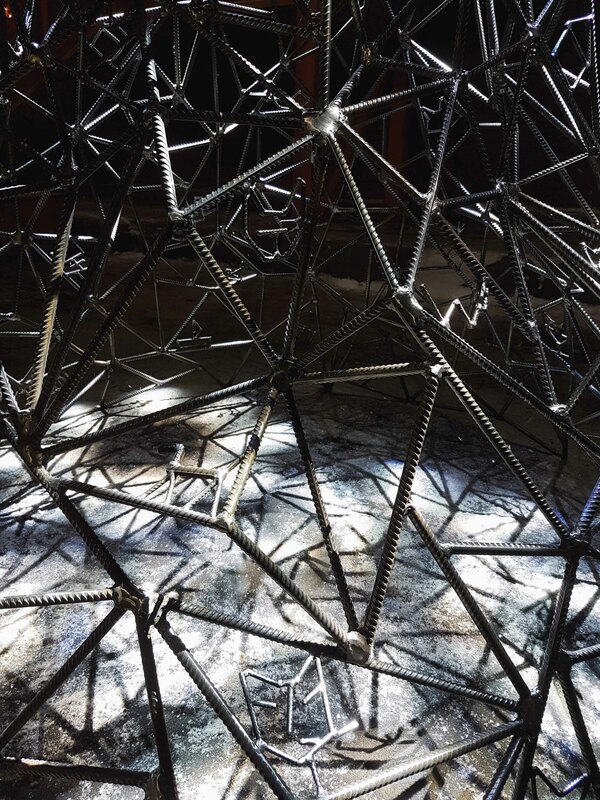 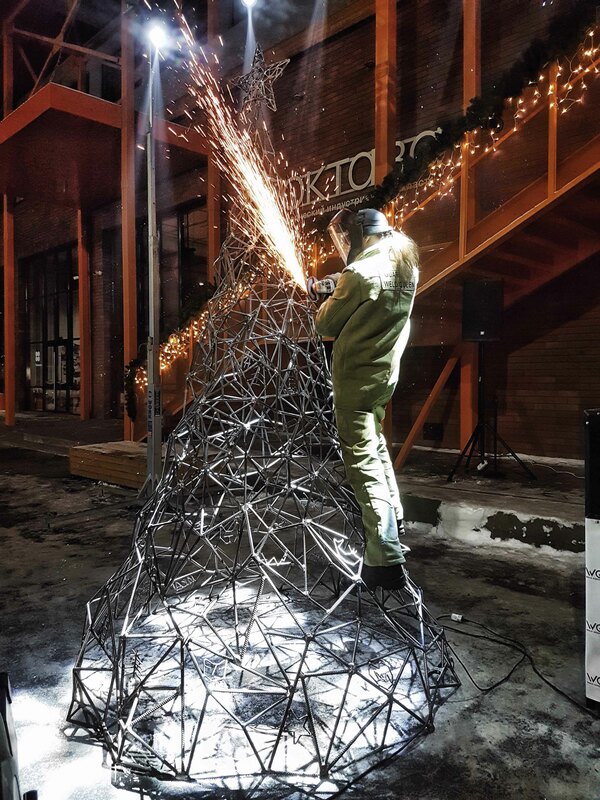 On December 15, the industrial “Christmas Tree” was solemnly installed in the yard of the cluster under the guidance of the artist and her team. 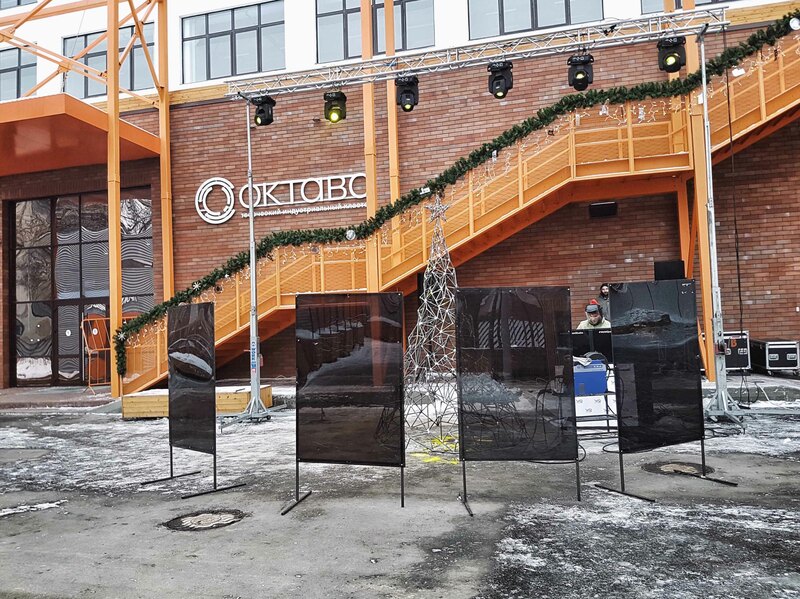 The visitors of “Octava” could watch the process of assembling the steel symbol of the New Year during the whole day. 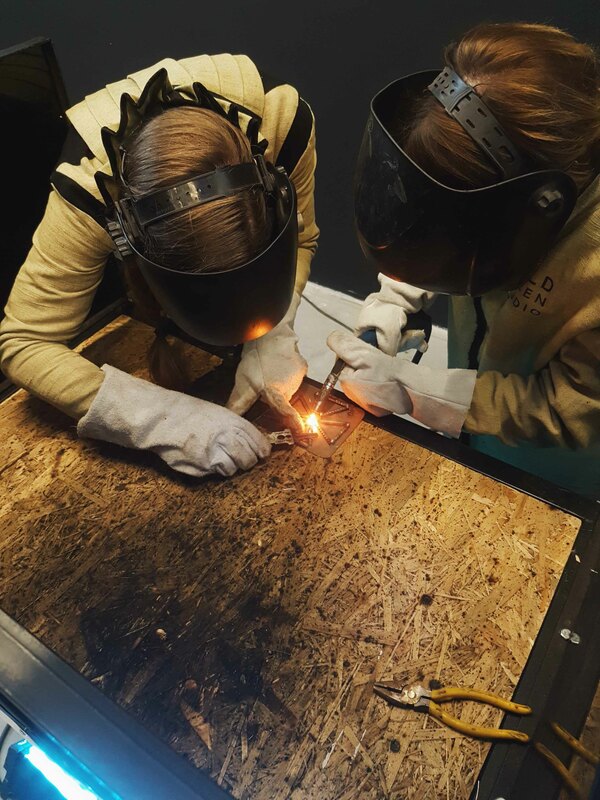 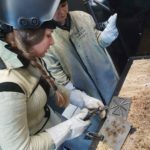 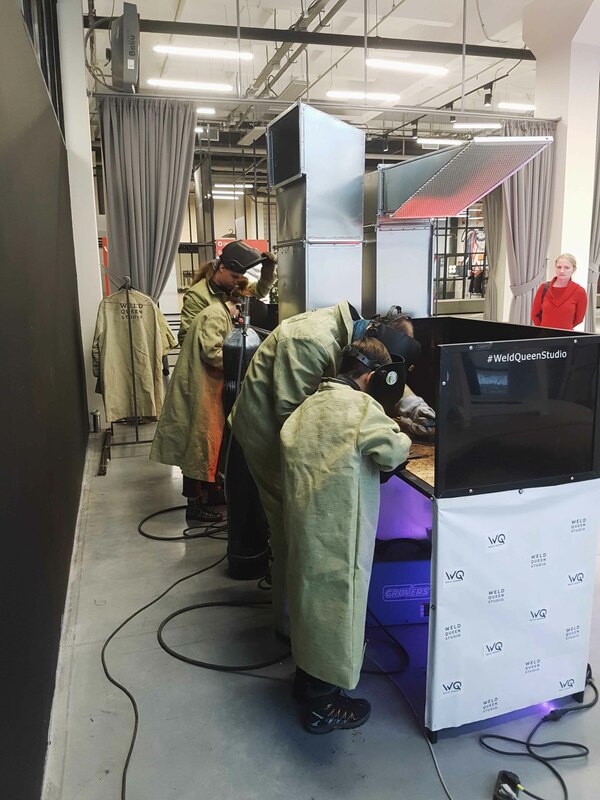 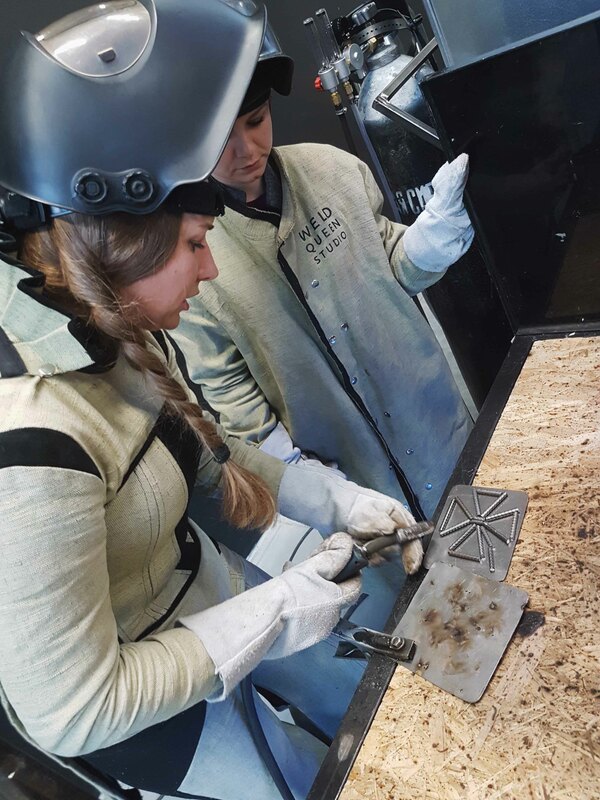 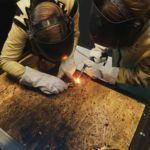 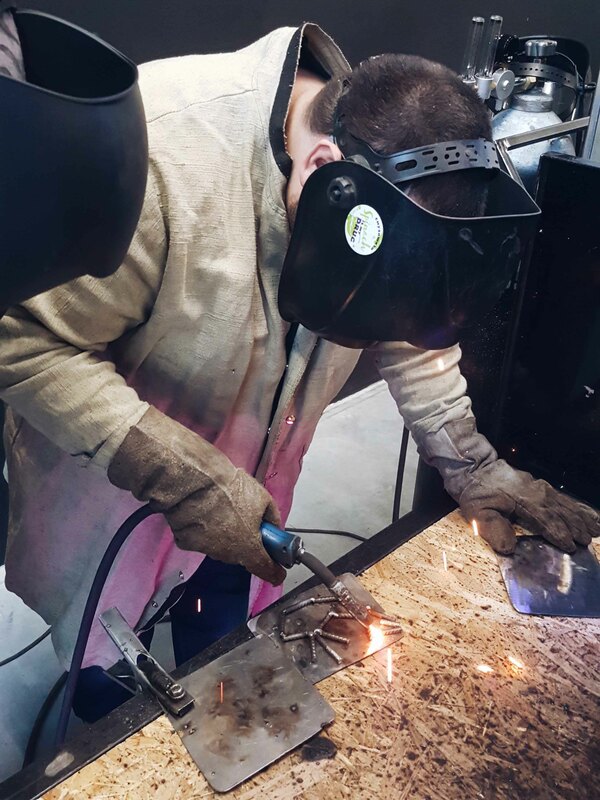 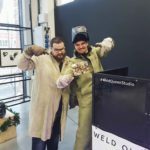 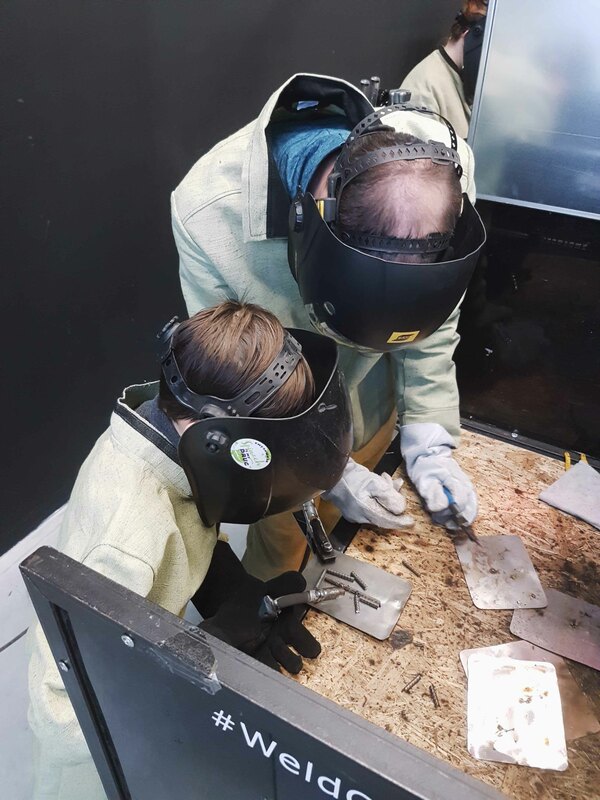 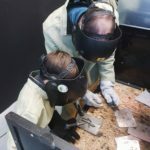 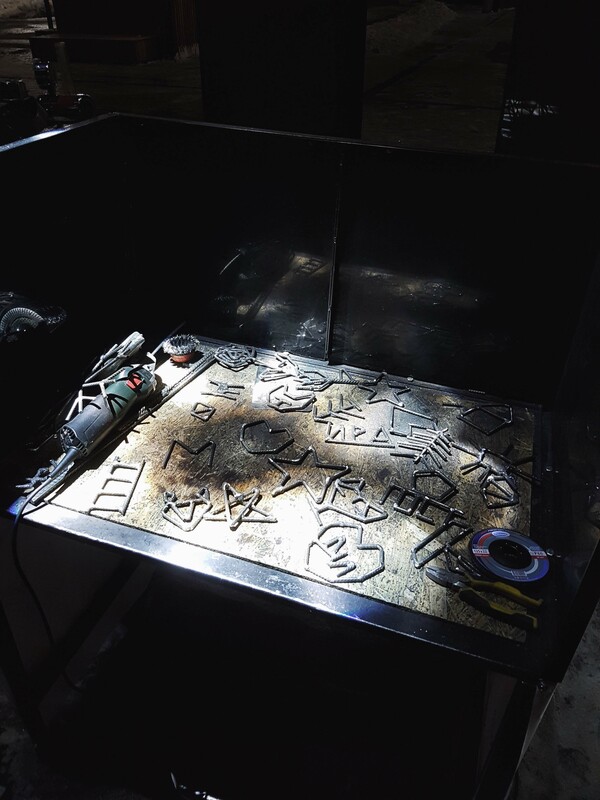 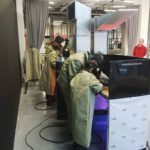 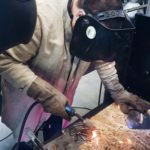 On December 16, the whole second day was devoted to welding art master classes. 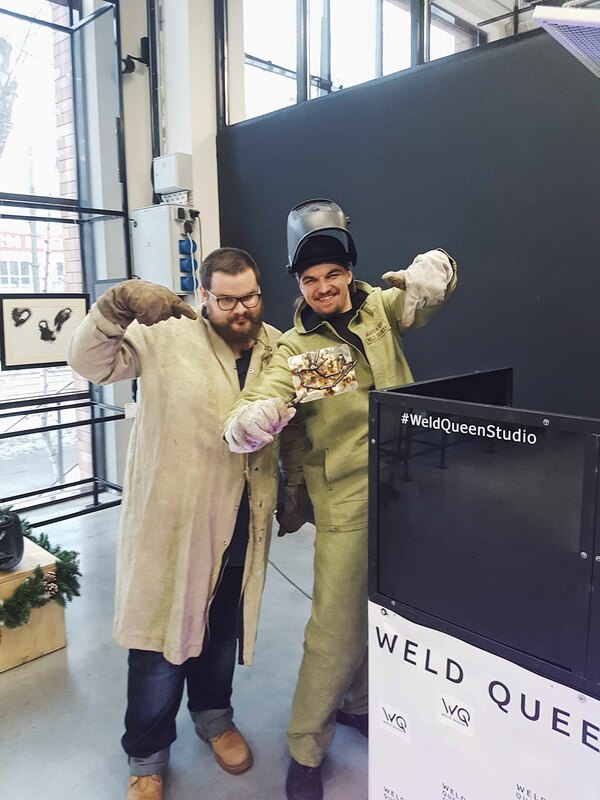 The Weld Queen team helped the visitors helped to think out and create reinforcing Christmas tree decorations and after they were welded on the Christmas tree installed in the yard. 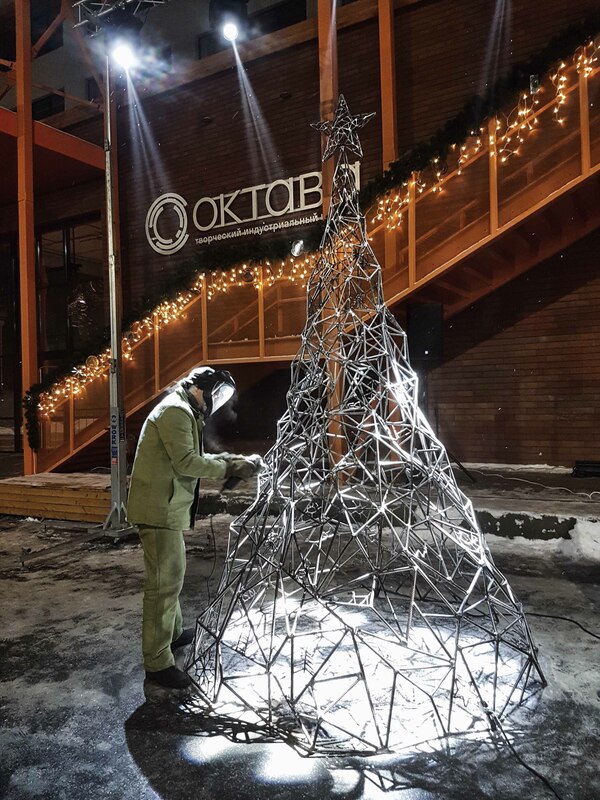 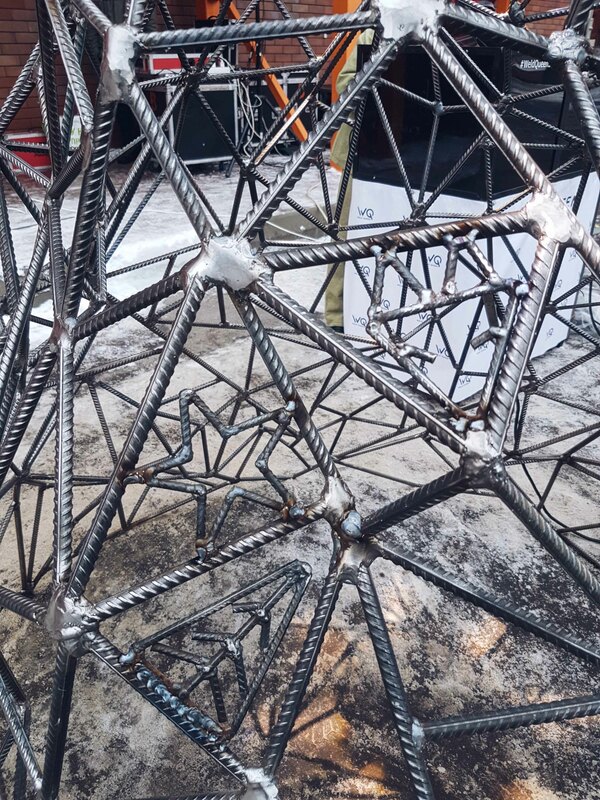 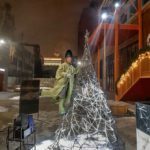 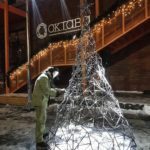 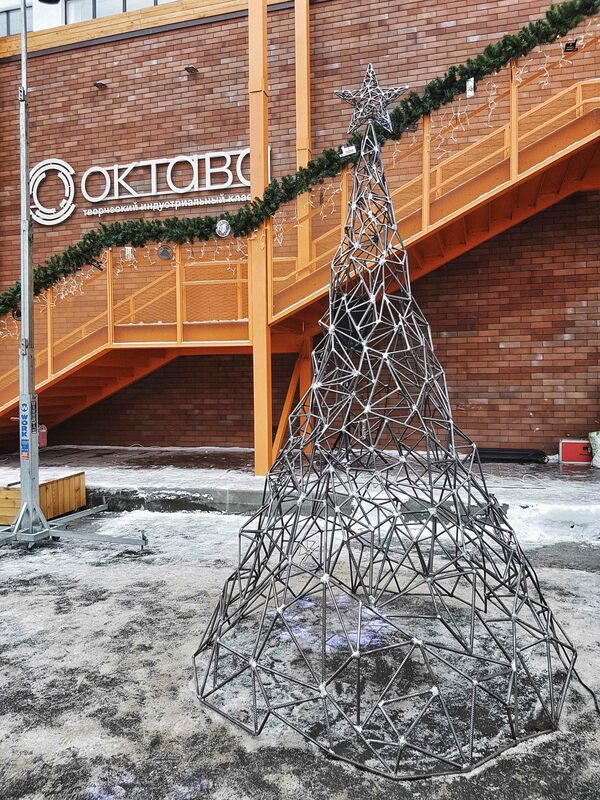 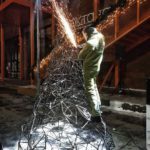 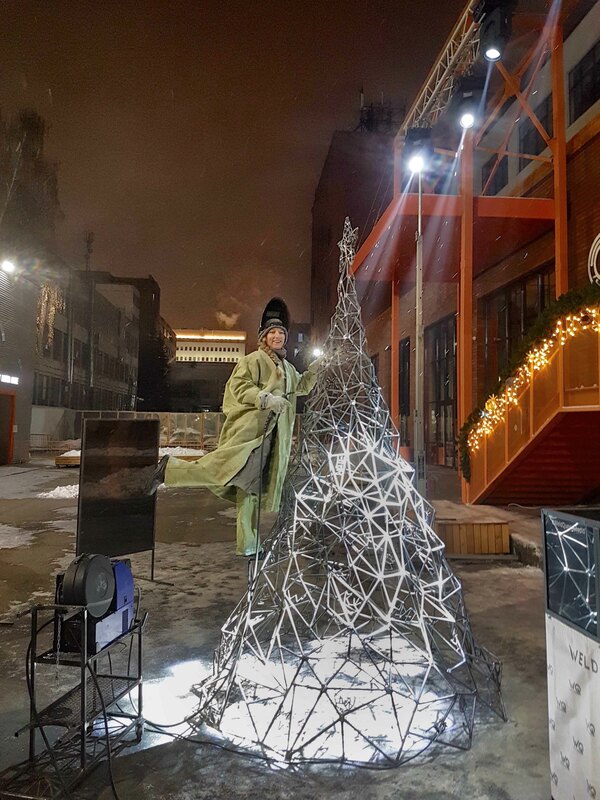 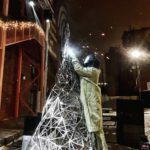 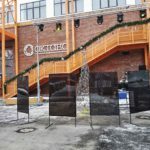 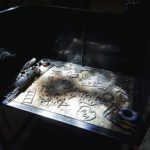 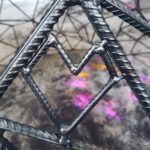 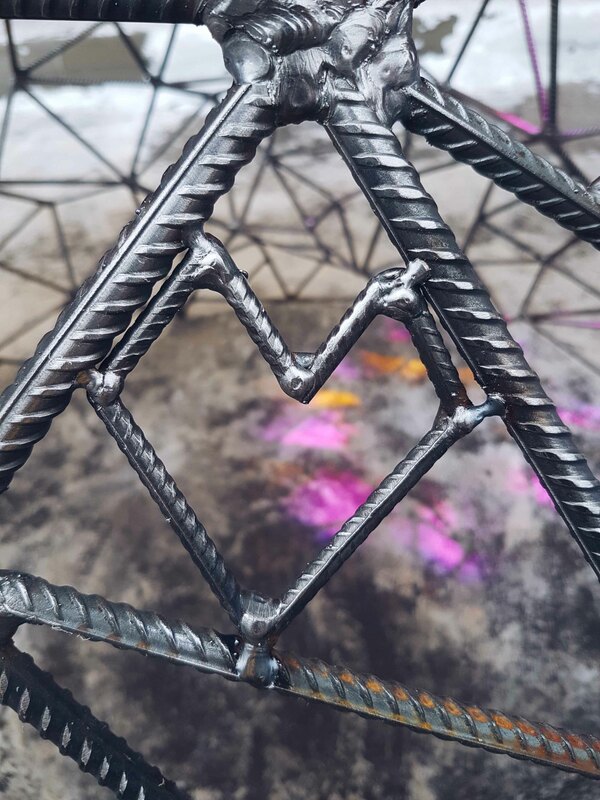 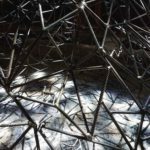 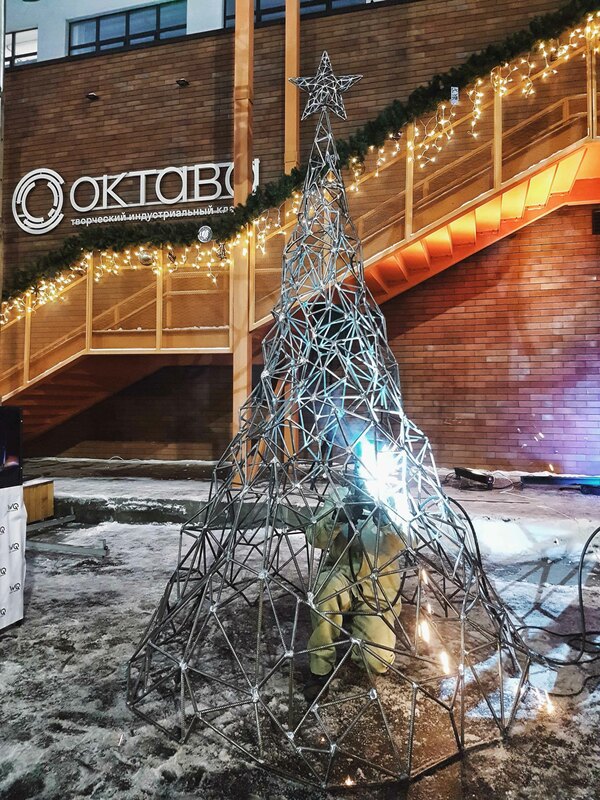 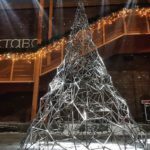 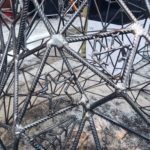 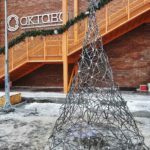 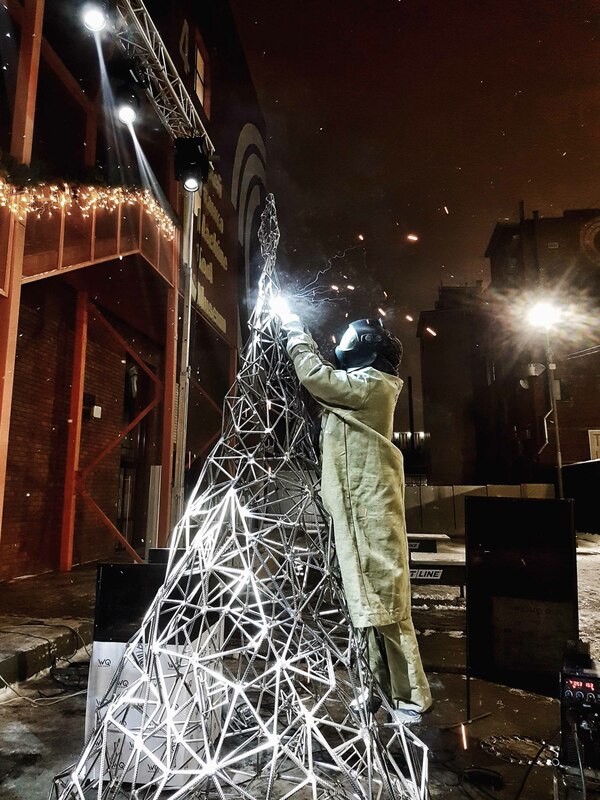 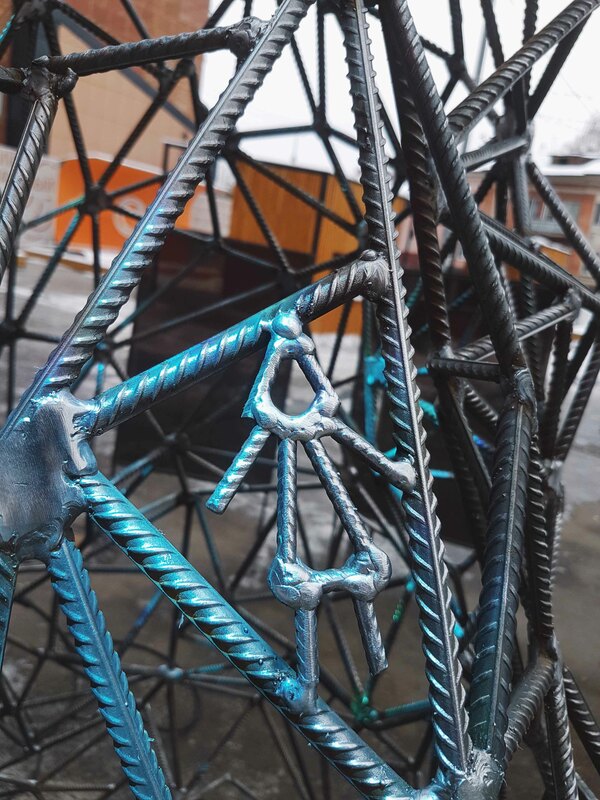 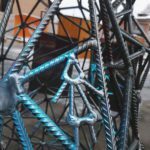 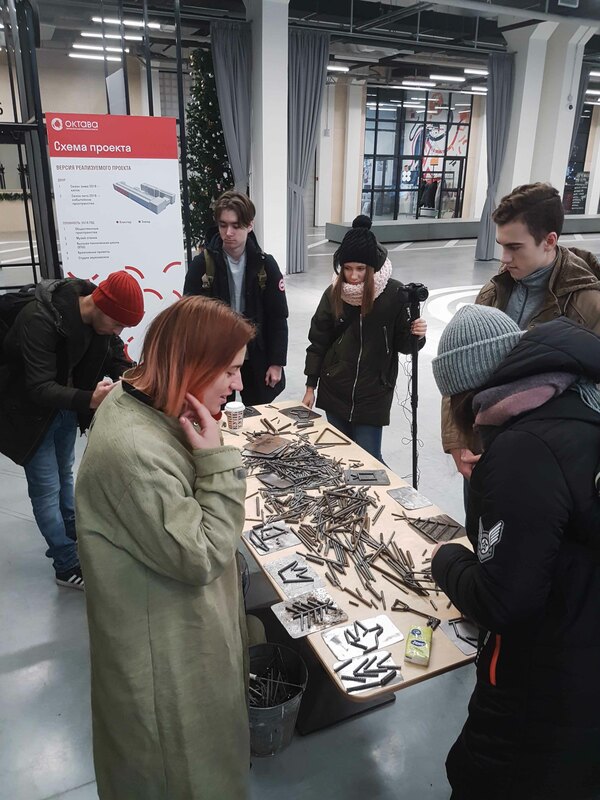 The spontaneous ideas of participants were displayed in steel before their eyes and then became a part of the whole object – the general “Christmas tree canvas” in which the New Year’s mood of inhabitants of Tula was captured. 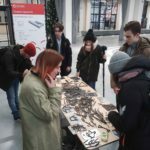 Anyone from eight years could take part. 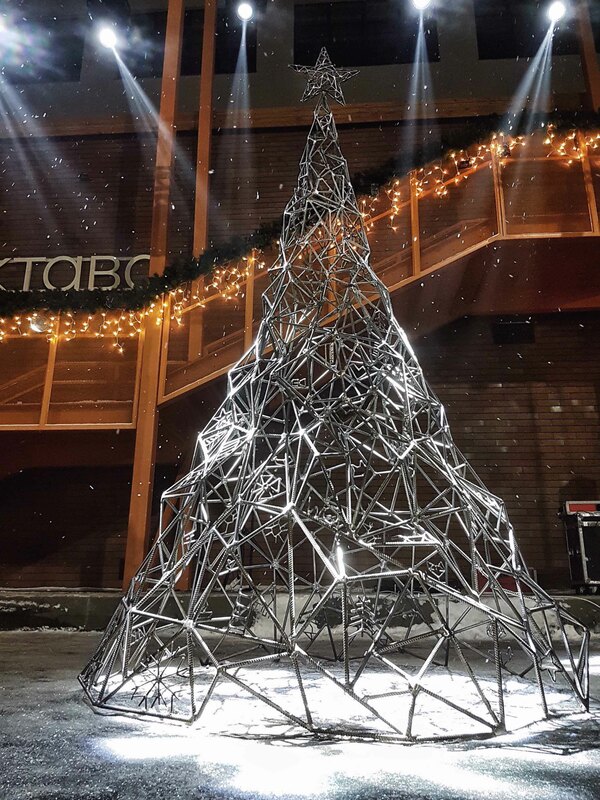 “Christmas tree” will stay in the yard of the cluster all winter of 2018-2019.